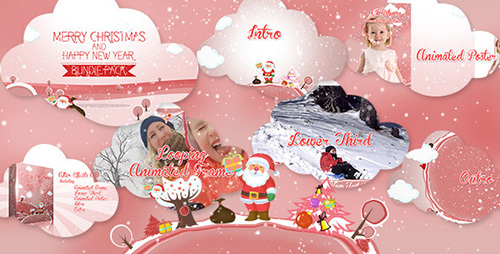 The ultimate Christmas Vector Bundle with highly customizable compositions and easy to change Layers. Use it for Christmas greetings and related professional or home video. • Video and Image Placeholders for videos and photos. • After Effects CS6 and above. • Music by yellowbus Christmas is not included.